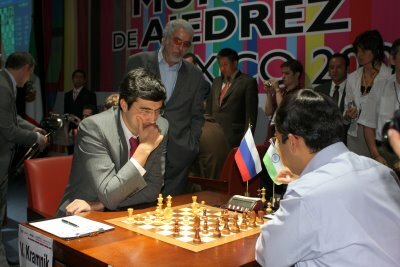 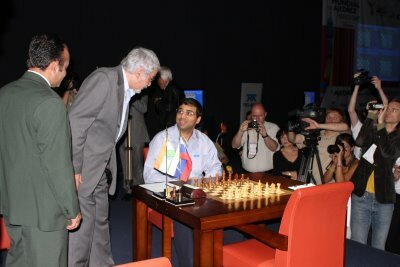 09.25.07 The Kramnik - Anand game was a tense Semi-Slav with chances for both sides. 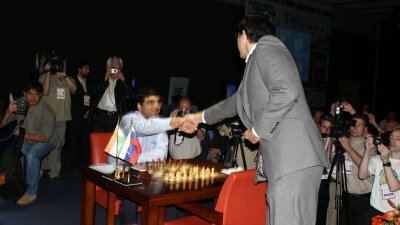 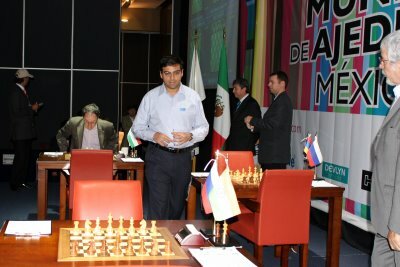 In the end it was a forty-one move draw which kept the Indian Super GM in the lead by one point. 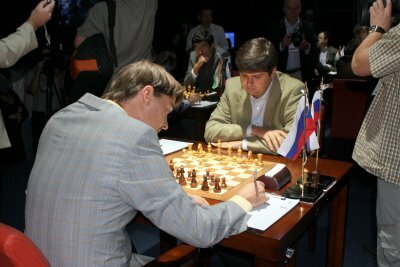 Gelfand remains in second followed by Kramnik, Leko and Aronian who beat Grischuk to move within striking distance. 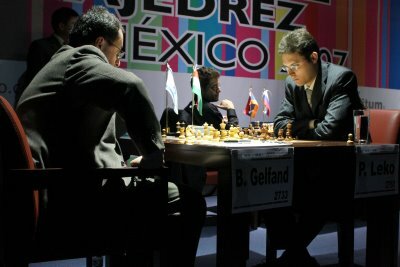 Gelfand - Leko with Aronian in the background. 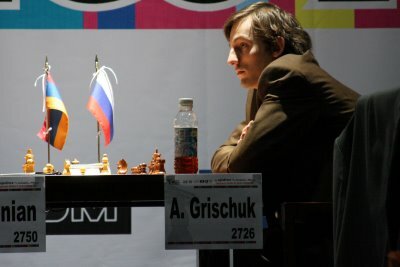 Like Boris Spassky vs. Fischer in 1972, Grischuk spent long stretches of time while on the move staring at the back wall. 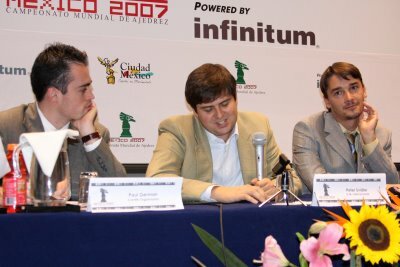 Peter Svidler and Alexander Morozevich keep it light at the post-game press conference.